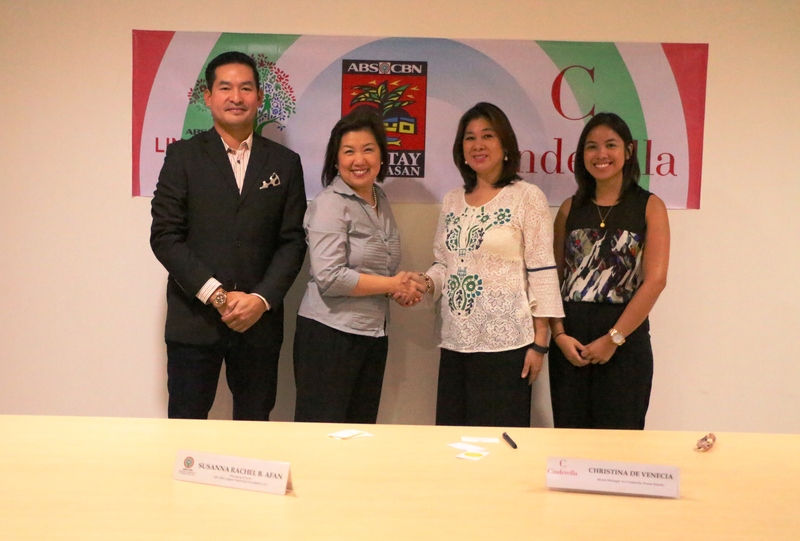 Its similar paradigm for environment has led one of the top fashion retail chains of multi-brand in the Philippines partnered with Bantay Kalikasan- the environmental arm of ABS-CBN Lingkod Kapamilya Foundation, Inc. In photo: (L-R) Richard Santos-Vice President for International Brands, Cinderella; Susan B. Afan- Managing Director of ABS-CBN Lingkod Kapamilya Foundation, Inc.; Ma. Lourdes De Venecia- Marketing and Communications Director, Cinderella; and Christina de Venecia-Brand Manager for Cinderella House Brand. Cinderella Marketing Corporation chose to collaborate with the environmental arm of the foundation again to help protect the nature and help communities through livelihood programs. Way back in 2008, the said company worked with Bantay Kalikasan for a “Think Green” campaign. The clothing company vows to support the environmental endeavors of ALKFI.